In an earnings call made earlier this week, VMware reported some bad news, even as the company released some pretty solid financial earnings numbers. VMware CEO Pat Gelsinger admitted that last year was, as he called it, a "challenging time" for VMware investors. And the company's core compute virtualization products were reaching maturity and would play a decreasing role in the company's future business. VMware announced total revenues for the fourth quarter reached $1.87 billion, that's an increase of 10% from the fourth quarter of 2014, or up 12% year-over-year on a constant currency basis. And license revenues for the fourth quarter were $825 million, an increase of 6% from the fourth quarter of 2014, or up 11% year-over-year on a constant currency basis. With the coming Dell acquisition of EMC, Gelsinger said the company would see, over time, a significant revenue upside from up selling VMware's full portfolio of products and services to Dell's new equipment sales and from accessing their incredibly strong SMB go-to market engine. But despite those numbers, the news wasn't all sunshine and rainbows. VMware made note that its CFO, Jonathan Chadwick, was leaving the company; and on top of that, an 800 person layoff was announced, equating to just under five percent of its global workforce, in an effort to trim operations. 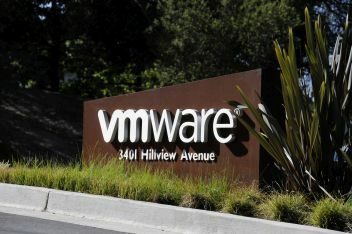 According to the company, as part of this layoff, VMware also intends to take a GAAP charge estimated to be between $55 million and $65 million over the course of the first half of 2016. They plan to reinvest the associated savings in field, technical and support resources associated with what it calls "growth products." As part of the restructuring, Gelsinger said VMware is also leveling off its investments in its public cloud platform, vCloud Air (vCA). Reportedly joining vCloud Air in the cuts, the Burlington Canada Call Center and parts of VMware Israel. One of the more surprising areas being affected by the layoffs: the development team for the VMware Workstation (the Windows desktop virtualization product that originally launched VMware into the x86 virtualization world) and Fusion (the company's desktop virtualization solution for Mac) -- both product updates are rumored to continue, though it looks like things will be outsourced to China. On his personal blog site, Christian Hammond, a former member of the Hosted UI team who left the group and the company back in 2013, authored a tribute blog post to each of those desktop virtualization products being affected as well to his former teammates. The post confirmed reports of the Workstation and Fusion developer layoffs, while also adding his own concerns about the future of the award winning and "profitable" desktop virtualization platforms. "VMware lost a lot of amazing people, and will be feeling that for some time to come, once they realize what they've done," Hammond wrote. "It's a shame. As for our team, well, I think everyone will do just fine. Some of the best companies in the Silicon Valley are full of ex-VMware members, many former Hosted UI, who would probably welcome the chance to work with their teammates again." Conversations and reflection around the Workstation and Fusion layoffs spilled over into the Twitter universe as well as TheLayoff.com, where some former VMware employees expressed their own thoughts on the situation. Some called for the firing of members of the executive team, others made comment about future layoffs, and questions were raised about the longevity of other products down the line. Beyond Workstation and Fusion, and perhaps even vSphere itself, VMware appears to be aggressively marketing itself beyond its compute virtualization solutions. We've seen that time and again during the last few years of VMworld keynote presentations. The company is instead looking to what it calls the Software-Defined Datacenter (SDD), where more recent technologies in the VMware arsenal like management, storage and networking are playing a major role. During the earnings call, VMware mentioned that NSX, its software-defined networking (SDN) product was a key component to their strategy going forward. Noting that it has already doubled in year-over-year revenue, to the tune of $600 million. "We believe our emerging networking business will be as transformative to the entire networking and security industries as vSphere has been to the compute and server industries," Gelsinger said. And he added, "Later this year, we will be introducing a new NSX offering, which will enable customers to create secure and encrypted overlay networks across public clouds including AWS and Azure and On-Premise Data Centers." Another key component of the SDD strategy is VMware vSAN, the company's software-defined storage (SDS) technology, which reached its own milestone crossing the $100 million mark. There is no shortage of change going on behind the walls of the virtualization giant -- some good, some bad, and that's mostly relative to who you ask. But clearly, this is not the VMware many of us in the industry "grew up with" back in the early years of 2000. Of course, this isn't really anything new, as we've already recognized that fact back in 2010, 2011, 2012, etc. Times, they are a changin'. I would like to add my personal thanks and give tribute to the current and past teams of VMware Workstation. I started my virtualization career back in 1999 using Workstation, which lead me to using VMware ESX. And over the years, I continued to make use of Workstation on my own personal computer for a number of reasons, chief amongst them security. Well done! And thank you.